Welcome to HydroClean Pressure Washing, Hickory’s premier soft washing & exterior cleaning company. We are now entering our 9th year of business and have served over 1,800 customers in the Hickory Metro Area. Soft washing & exterior cleaning is not an add on service for us, but is what our company is built upon, what we specialize in, and you can know you are hiring experts for you cleaning needs. As professionals, we know the best way to wash a home is not using high pressure in an attempt to blast off dirt and mold, but rather to use detergents which loosen dirt and kills the mold at the source. Our detergents are biodegradable, safe for both plants and animals and we always carefully rinse any plants or vegetation that may come in contact with our detergent solution. We can give you peace of mind, knowing you are hiring a professional licensed and insured company to wash your property. 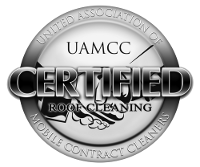 From House Washing, to Roof Cleaning, to cleaning your Gutters and Windows, we have the experience, training, and dedication to quality to provide you with 100% satisfaction. Can Pressure Washing damage my home? High pressure and using the wrong detergents can damage your home and plants, we use low pressure with our custom detergents to gently "soft wash" your home. Our custom detergents are made specifically for pressure washing, are not available in stores, are biodegradable and are safe for plants and animals. We carefully rinse siding and plants to ensure no residue from our detergents is left. We visit every home and provide a detailed itemized price for each service. Our customers can pick and choose exactly the services they want. We are not the cheapest and if you are looking for the lowest price and lowest quality service we are not a good fit for you.